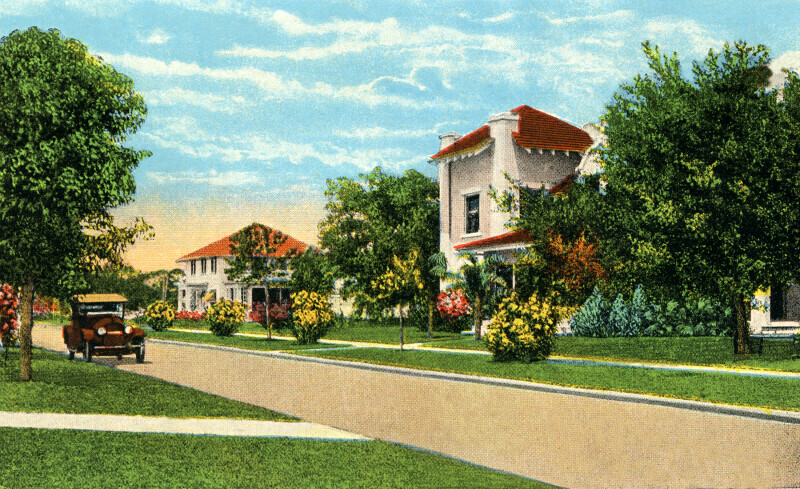 This scene shows the neighborhood around Sixteenth Street and Beach Drive. Flowering shrubs and small, deciduous trees line the road. The house all appear to be finished with white stucco, and have terracotta tile roofs. There is a single vintage automobile on the road. WARNING: You are about to download a 18.3 MB TIFF!